Have you ever wondered what are the Duster prices in other countries? Now you can find out reading this article. We will compare the cheapest version and the top of the range version of the Duster in the best selling countries for the Romanian SUV in 2014. The prices are from January 2015 and are approximate for countries with other currency than Euro. All the prices are for specified versions without any additional equipment. 1.1 The cheapest Duster model commercialized in France is a 4×2 model with an 1.6 LPG engine with 16 valves and 105 HP. The price for this model is 11,990 Euro with all taxes included. 1.2 The most expensive Duster without additional equipment in France is a 4×4 Prestige version powered by a 1.5 dCi diesel engine with 110 HP. The price of the top of the range Duster in France is 18,000 Euro. 2.1 The cheapest Duster model in Germany is a 4×2 Essentiel version with an 1.6 petrol/LPG engine with 16 valves and 105 HP. The price of this model is only 10,690 Euro. 2.2 The top of the range Duster in Germany is a 4×4 Prestige version with an 1.5 dCi diesel engine with 110 HP. The price of the most expensive Duster in Germany is 18,690 Euro. 3.1 The cheapest Duster model in Spain is a 4×2 Base version powered by an 1.6 petrol engine with 105 HP. The price of this model is 10,900 Euro. 3.2 The top of the range Duster in Spain is a 4×4 Laureate version powered by an 1.5 dCi diesel engine with 110 HP. The price of the most expensive Duster in Spain is 18,280 Euro. 4.1 The cheapest Duster model in Italy is a 4×2 version powered by a 1.6 petrol engine with 110 HP. The price for this model is 11,900 Euro. 4.2 The top of the range Duster in Italy is a 4×4 Laureate version with an 1.5 dCi diesel engine with 110 HP. The most expensive Duster in Italy has a price of 18,000 Euro. 5.1 The cheapest Duster version in the best selling country outside Europe, Algeria, is a 4×2 version powered by an 1.6 petrol engine with 16 valves and 110 HP. The price of this model is approximate 11,000 Euro. 5.2 The most expensive Duster model in Algeria is a 4×4 Laureate version powered by an 1.5 dCi diesel engine with 110 HP. 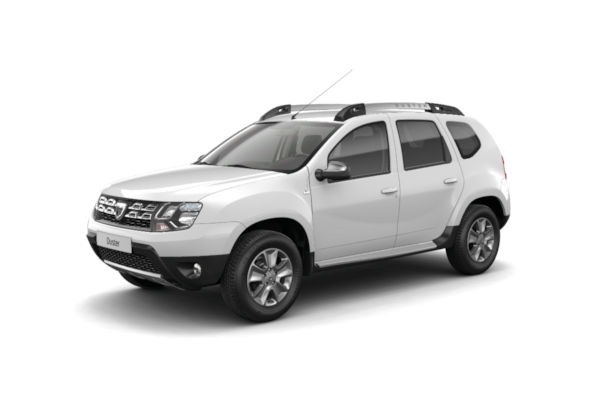 The price for the top of the range Duster model in Algeria is approximate 18,500 Euro. 6.1 The cheapest Duster model in Turkey is a 4×2 Ambiance version powered by an 1.6 petrol engine with 16 valves and 105 HP. The cheaper Duster model in Turkey has an approximate price of 15,700 Euro. 6.2 The top of the range Duster in Turkey is a 4×4 Laureate version powered by a 1.5 dCi diesel engine with 110 HP. The price for the most expensive Duster in Turkey is approximate 21,150 Euro. 7.1 The cheapest Duster version in Morocco is a 4×2 version with an 1.6 petrol engine and 100 HP. The price for this model is approximate 11,950 Euro. 7.2 The most expensive Duster model in Morocco is a 4×4 Prestige version powered by an 1.5 dCi diesel engine with 110 HP. The price for the top of the range Duster in Morocco is approximate 19,300 Euro. 8.1 The cheapest Duster model in Romania, the home country of Dacia, is a 4×2 Access version powered by an 1.5 petrol engine with 16 valves and 105 HP/ The cheapest Duster in Romania has a price of 11,000 Euro. 8.2 The top of the range Duster version in Romania is a 4×4 Laureate version with an 1.5dCi diesel engine with 110 HP. The price for the most expensive Duster model in Romania is 17,100 Euro. 9.1 The cheapest Duster model in the UK is a 4×2 Access version with an 1.6 petrol engine with 16 valves and 105 HP. The cheapest Duster version and probably the cheapest SUV in the UK has an approximate price of 12,720 Euro (9,495 pounds). 9.2 The top of the range Duster model in the UK is a 4×4 Laureate version powered by an 1.5 dCi diesel engine with 110 HP. The most expensive Duster in the UK has an approximate price of 20,760 Euro (15,495 pounds). 10.1 The cheapest Duster model in Belgium is a 4×2 version with an 1.6 petrol engine with 16 valves and 105 HP. The price for this model is 11.990 Euro. 10.2 The most expensive Duster model in Belgium is a 4×4 Prestige version powered by an 1.5 dCi diesel engine with 110 HP. The top of the range Duster version in Belgium has a price of 19,900 Euro.